Arsène Wenger - In or Out? 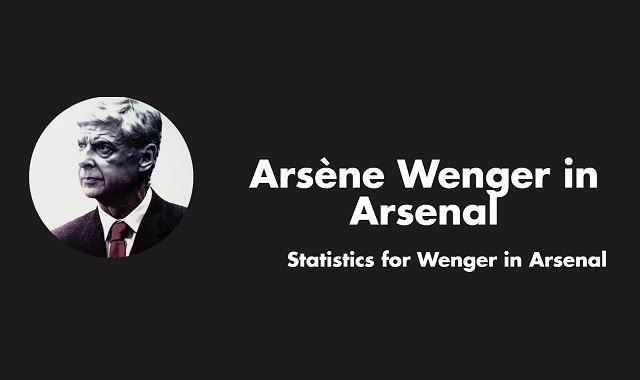 #infographic ~ Visualistan '+g+"
Wenger took over Arsenal in 1996 and has achieved great success during his 20 years in the club. He has won 7 FA Cup titles, 7 Community Shield titles and 3 Premier League titles. The highlight of Wenger’s reign must be the 2003/04 season, when "The Invincibles", consisting of players like Patrick Vieira, Freddie Ljungberg, Dennis Bergkamp and Thierry Henry, went through the entire Premier League season without losing a single match. We looked at one of the most discussed coaches in Premier League this season and created an infographic about him, showing, among other things, his previous engagements and the football players he has turned into true football legends. The relationship between Wenger and Arsenal fans has gotten even worse after a bad start in 2018 where Arsenal went out to Nottingham in the FA Cup and lost 5 out of 7 matches in the Premier League, including one back-to-back loss to Manchester City 0-3 (one in the Premier League, the other in the Carabao final).